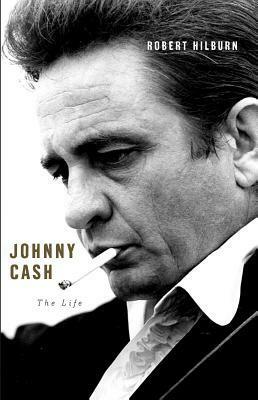 This new Johnny Cash book was interesting and full of a lot of information. The author refers to books by other people and interviews he made from the family, friends and other people that worked with him. Some of the information is common knowledge but most of it is new at least to me. The book for the most part was a lot like his life first part exciting full of life and information. The middle part was slow it dragged somewhat and took a little bit of time to get through it. The last part of the book was very interesting and like his career made for a fast read. That was when his career made a comeback. You get to see him as a much tormented person, from his childhood till he passed away. Seems from the time his older brother passed away. But he knew he wanted to be a singer and throughout his entire career he wanted to always sing or make a gospel record. Even his first meeting with Sam Phillips, his first song was a gospel song. Sam told him to come with something else, he needed something that would sell. It took him some time but came back with a song "Cry, Cry, Cry." After that it was “Folsom Prison Blues”. That was 1955, in 56, he came out with “I Walk The Line”. From there he was on his way. Like I said there is a lot of information actually too much to put into a review. I will say this he dealt with his addiction his entire adult life. He was constantly working on his faith, and for better or worse his just trying to overcome some of his demons to be a better person, like we are all trying to do. It was good to see his career come full circle and he did not turn down a chance to sing on a U-2 song which was his start of his last 4 albums with a young new producer who wanted to make Johnny Cash relevant again in the music industry, which he did. This is a fantastic book and is worth our time to read.